Microsoft has launched a new, stripped down version of Windows that aims to take on Google and Apple in the education market. Dubbed Windows S, it’s meant to be cheaper and less resource intensive than Windows 10 Home or Pro by having fewer programs running in the background, while being easier to manage and secure since you can only install apps from Microsoft's Windows Store. The latter might come as a disappointment seeing as the lack of traditional desktop software is arguably one of the main reasons Windows RT — a lightweight, mobile-friendly variant of Windows 8 — failed. Then again the Windows Store has gotten better since, and Microsoft is specifically aiming this at managed environments like the education market, where Chrome OS is thriving with similar limitations. Windows 10 S runs on the full range of Windows 10 hardware, including high-end models like the Surface Book, although it is primarily intended for use with inexpensive, low-end hardware. Microsoft says Windows 10 S will take around 15 seconds to be ready for a student to login and use for the first time. Meanwhile, administrators will be able to setup machines using a USB drive with preconfigured options — Windows 10 S will simply detect the key and customize all the settings accordingly. Windows S will be available in a number of inexpensive laptops from major computer manufacturers including Dell, HP, and Acer starting at just $189. All machines will ship with a free subscription to Minecraft: Education Edition, and schools will also get free Office 365 education with Microsoft Teams. 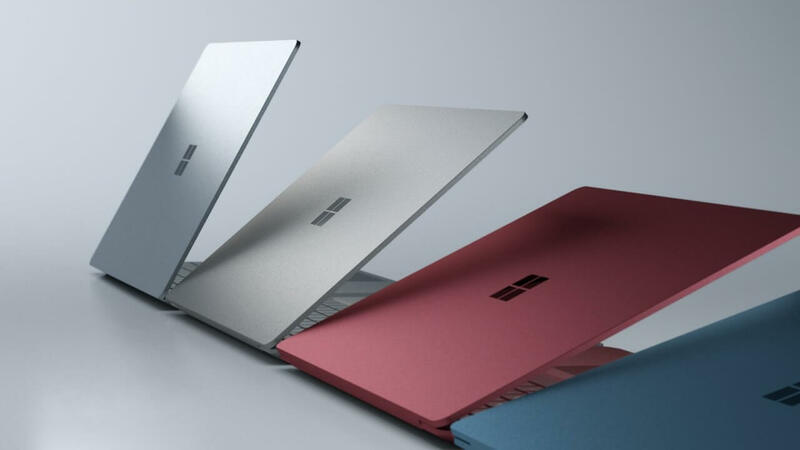 To get things rolling Microsoft Microsoft its launching its own laptop preloaded with Windows S. The new Surface Laptop, however, is aimed the higher-ed crowd with a starting price of $999, and going all the way up to $2,199 if you factor in all the available hardware upgrades. The Surface Laptop weighs only 2.76 pounds and is 1.47 cm thick. Available for pre-order today, the laptop will start shipping June 15. It will sport a 13.5-inch, 2256 x 1504 resolution multi touch display, a seventh-generation i5 or i7 Intel Kaby Lake processor, up to 512 GB of solid state storage, up to 16GB RAM, 14.5 hours of battery life, one USB 3.0 port (no USB-C, surprisingly), and a mini DisplayPort. Luckily, if you feel all that hardware is being underused with Windows S, Microsoft also offers a $49 upgrade from Windows 10 S to the full Windows 10 Pro.